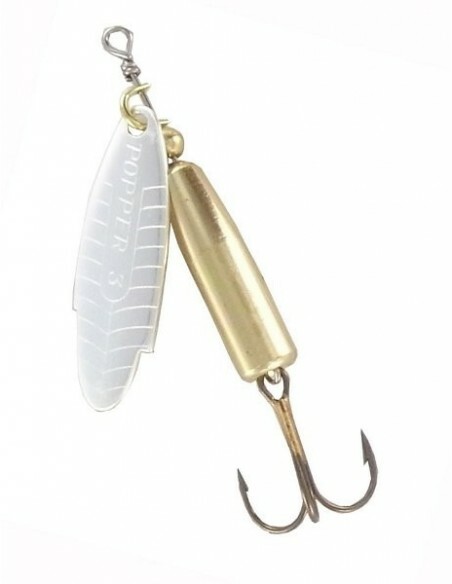 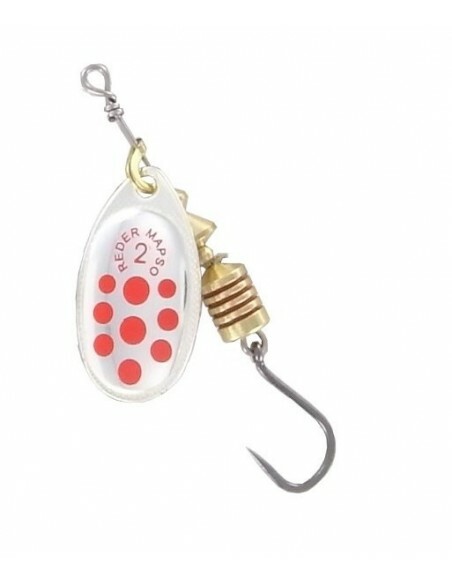 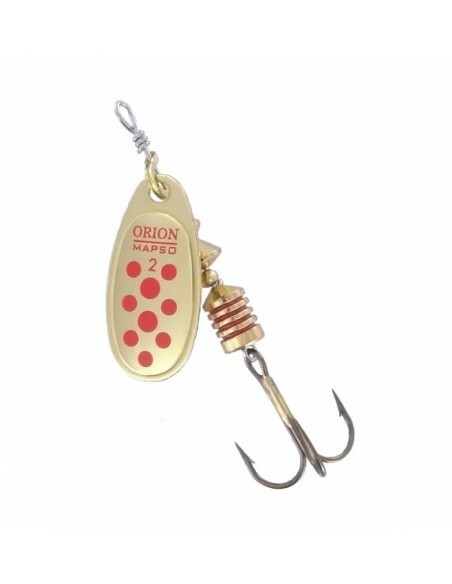 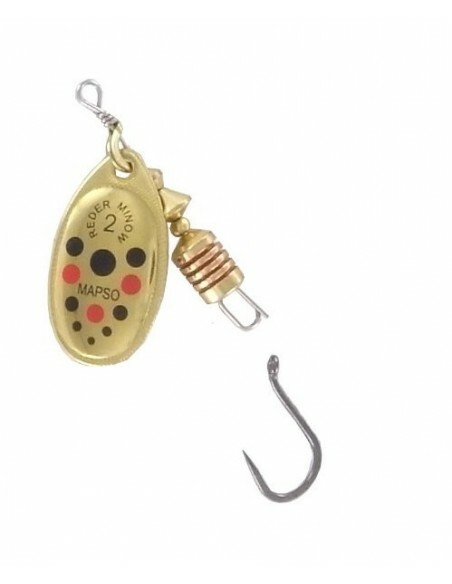 Lighweight bait that wordks well in fast-floowing water. 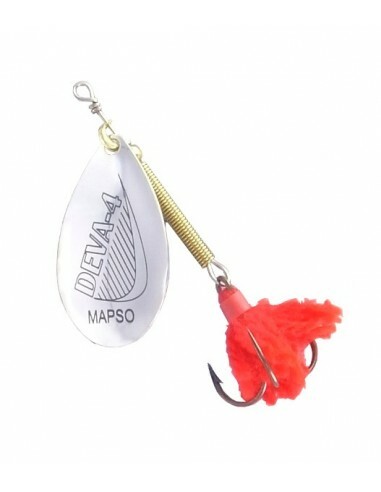 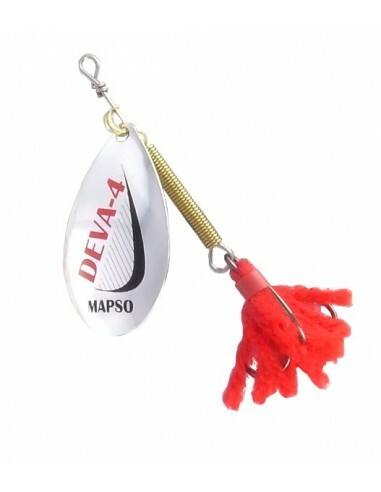 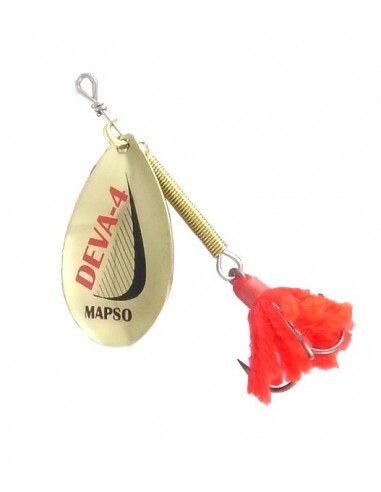 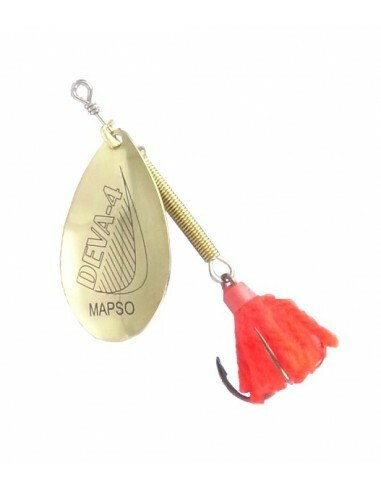 The red "pompom" on the hook attract spredator fish. A plumb bob is advisable for use in deep water.